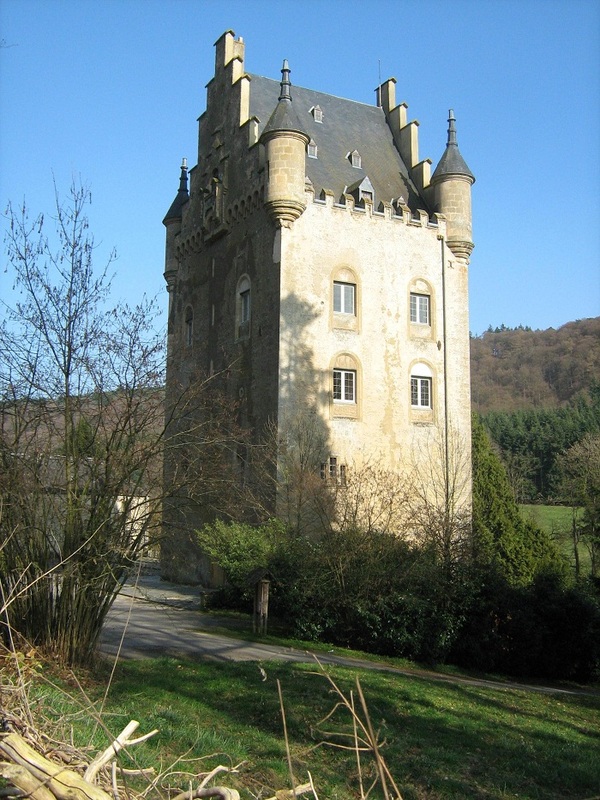 Schoenfels Castle is a castle that has the same name as the village where it is located, which is south of the town Mersch in the Grand Duchy of Luxembourg. 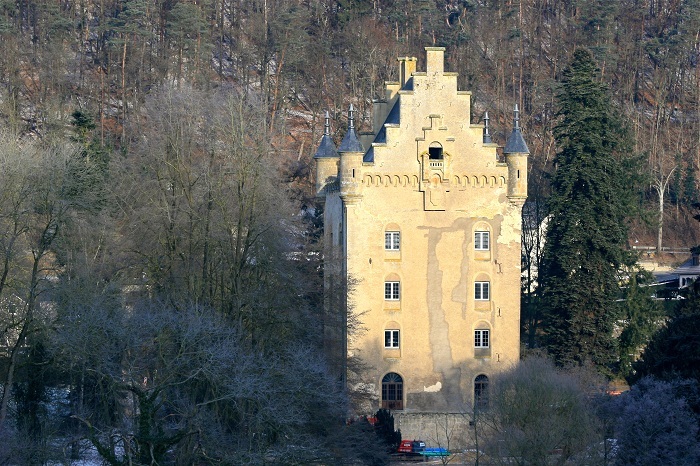 Schoenfels Castle was built as a fortified keep in 1292 by a Ferri, alias Friedrich von Schoenfels, in the Valley of Seven Castles. 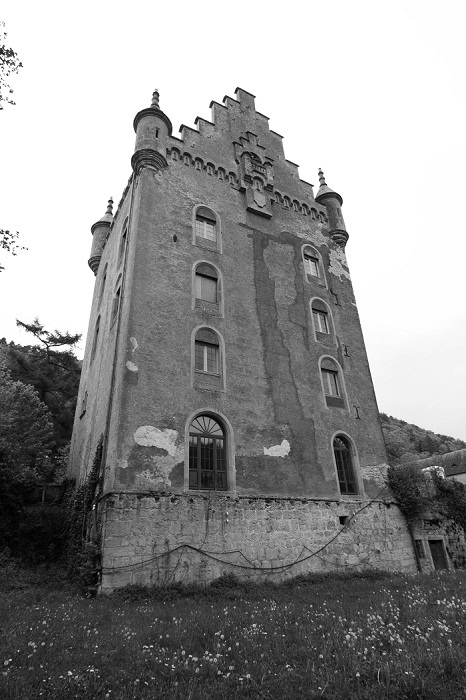 Later the castle passed to the Von Ansembourg family through marriage and later still to the Von Sassenheim family. 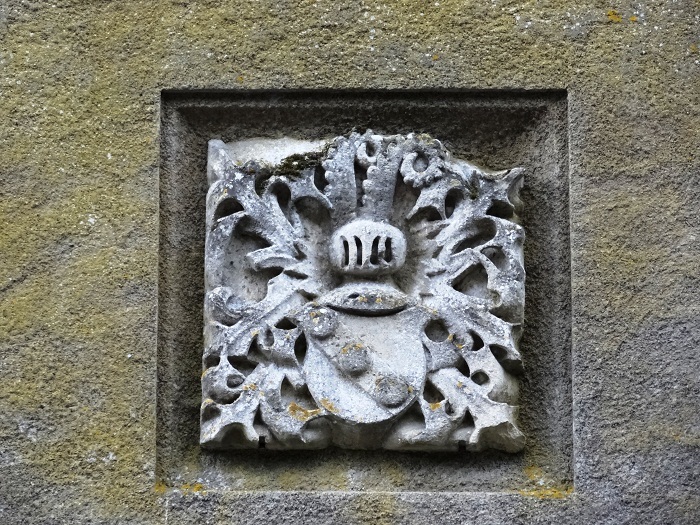 Later in the 16th century, Henri Schloeder of Lachen became the owner and the Lord of Schoenfels and Busbach. Since it had no major importance strategically, the French army in 1683 destroyed its defenses, and two years later the castle and the village were burned to the ground during a battle between Theodor von Neunheuser and the Lords of Brandenbourg. In 1813, the son of Pierre-François de Gaillot de Genouillac, François-Romain de Gaillot, sold the castle to Jean-Baptiste Thorn-Suttor, who was governor of the Province of Luxembourg during the Belgian period, who has also bought Hollenfels Castle in 1818. 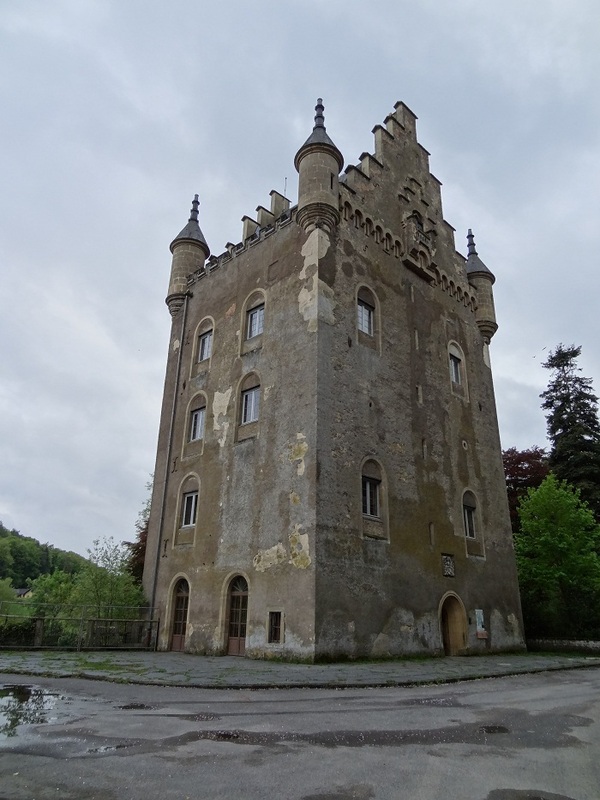 In 1840 he sold both castles to J. Engler, a senator from Brussels, where his son built a mansion next to the keep with a neo-gothic roof, which was tore down by the state when it became the legal owner of the castle. 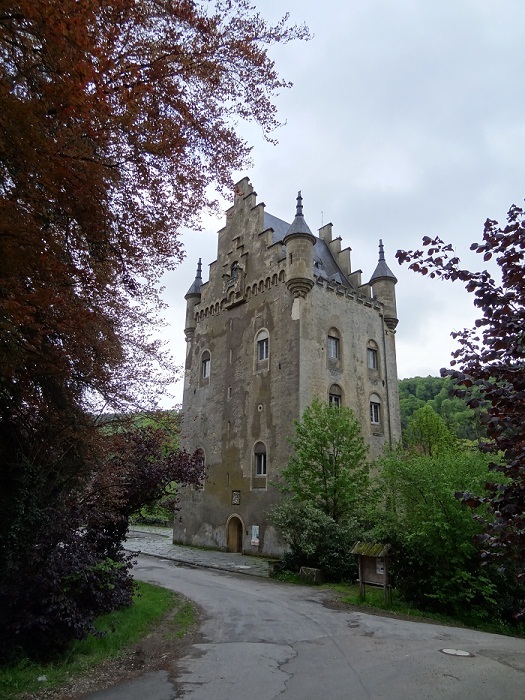 Also, as Luxembourg is the owner, there is a restoration going on of the keep, with hope to open a visitors center, which presently doesn’t have.